Iowa Pond Construction – 941.276.4065. Let us be the first to assess your new pond, excavation, or habitat management project! Having pond problems or weed control issues in your pond? We can write you the prescription for a healthy Iowa pond! 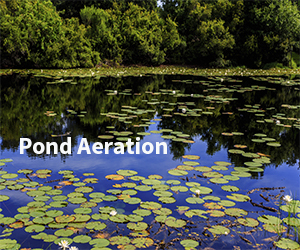 Learn more about weed control and pond aeration. With over 40 years’ experience, Iowa Pond Construction is Iowa’s expert on planning, designing, building and repairing a new pond. Building a house and need to dig a foundation or excavate a septic drain field? How about bulldozing the brush for a clean home site? Iowa Pond Construction team has the equipment, experience, and expertise for all your dirt work, excavation, bulldozing and even ditch cleaning needs in Iowa. Does your pond have thick mud at the bottom or a murky appearance? Let us help you acheive a healthier looking pond using pond aeration tools and equipment. We have fish feeders for all seasons of nature as well. Are weeds and algae stealing the reflective surface of your pond? Are you struggling to get control of these invaders to your pond? 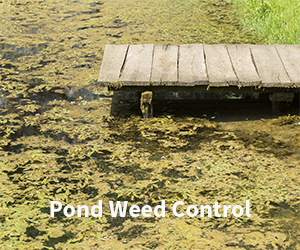 Iowa Pond offers multiple weed and algae control solutions for your pond. In addition to new pond building, we also offer silt and dam repair, and maintenance solutions for your pond. Visit with Don Farley, the expert Pond Consultant for your Iowa Pond. Don has 40+ years in the field and can help you assess your pond needs for construction, maintenance, weed control, repair and more. 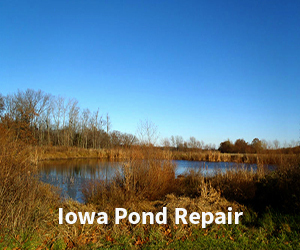 Located in North Liberty, Iowa and specializing in building large Iowa ponds. Iowa Pond Doctor, Don Farley, will help write you the prescription to a healthy pond. 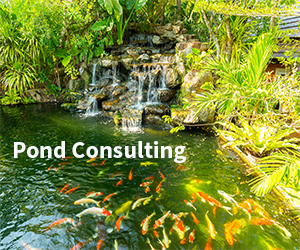 Don provides consultation of pond construction, building, and repair to residential and commercial owners, managers, and maintenance personnel of all types of ponds. 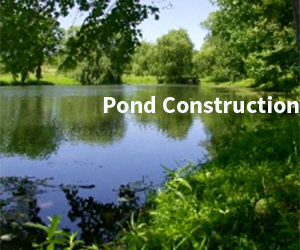 Recreational swimming ponds, waterways, retention ponds, and fishing ponds are just a few of the services that Iowa Pond Construction provides. Iowa Pond Construction has the resources, materials, and equipment to get the job done right. Iowa Pond Construction is proud to stand out from the competition on knowledge and price. Call for FREE to discuss ideas and cost estimates. 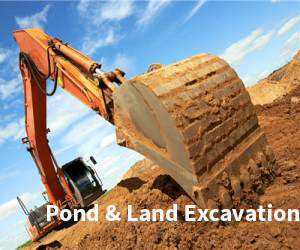 Iowa Pond Construction will work with you on all your dirt work and excavation service needs. There is simply no substitute for field experience, owner, Don Farley has been in the outdoor construction business for over 40 years and is an expert in pond designing and planning, building and construction, and maintenance. Let’s Talk! Call Don at 941-276-4065. The call is FREE and he’ll help you identify the steps needed to build or re-build and maintain the Iowa pond of your dreams. If you would like more information about pond construction, pond maintenance, weed control, pond aeration, pond repair, fish supply for your pond, or consulting on your Iowa Pond,Send us your information through our contact form to learn more about our services.